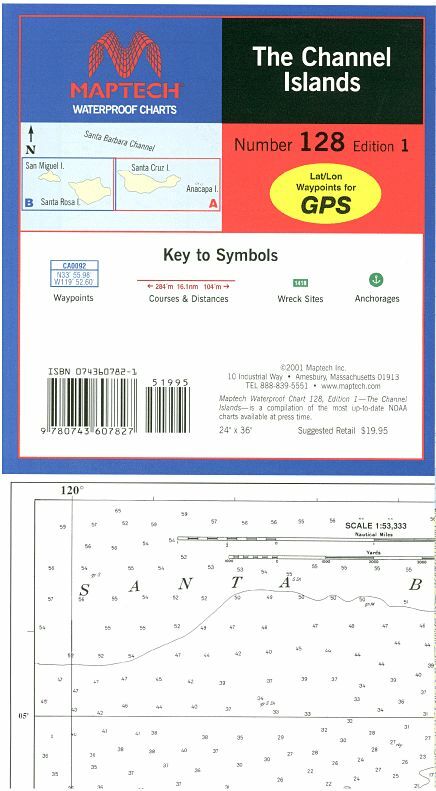 The best waterproof chart for cruising around the Channel Islands! Includes Anacapa, Santa Cruz, Santa Rosa, and San Miguel islands. 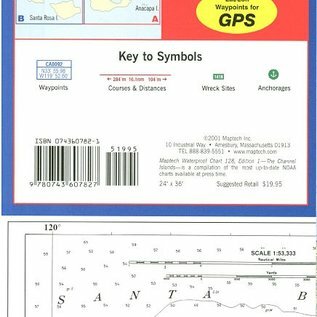 Contains pre-plotted anchorages, GPS waypoints, courses, and wrecks. 24” x 36” Approximate scale 1:53,333 with insets.